In my previous post, I discussed the challenges associated with measuring hospitalists’ patient satisfaction scores. I noted that CMS never designed the HCAHPS survey to evaluate the performance of individual providers or groups; it is only valid for assessing hospital-level performance related to patients’ experience of care. I also reviewed some structural impediments that likely impact hospital patient experience scores for the types of patients most often attended by hospitalists. And I promised in this post to share some innovative things I’ve learned about that hospitalists are doing with the goal of improving how they communicate with patients. What Can We Do to Raise and Sustain Patient Satisfaction Scores for Our Patients? If I knew the answer to that, I’d be rich – and retired. 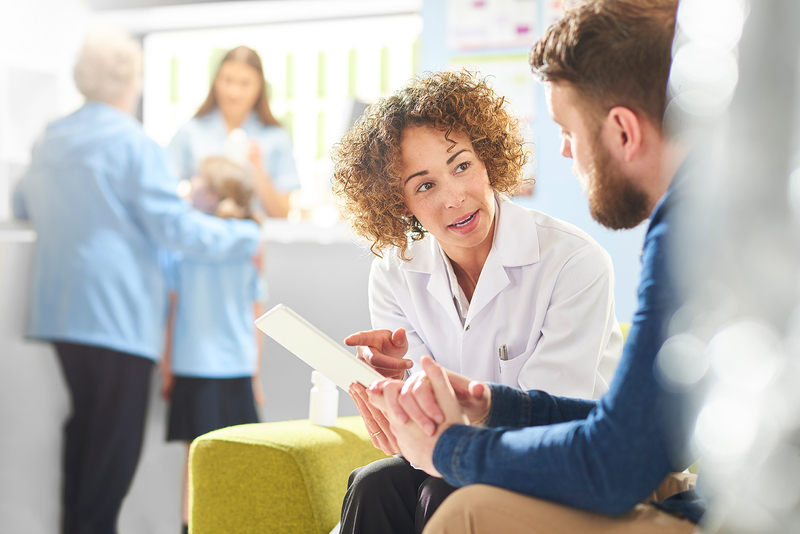 But at the SHM Annual Conference in Orlando I learned about the strategies a couple of hospitalist groups are employing to enhance communication with their patients by creating a better hospitalist-patient connection. These videos introduce doctors to patients and families in more detail than the doctor would usually have time for during an initial visit, and they make the doctor seem more like a real person instead of a nameless, faceless caregiver. And they provide patients, family members, and doctors a basis to ask follow-up questions that can lead to meaningful conversation. The Pioneer doctors tell me the videos have been well-received by patients and families, but because implementation is so recent, they don’t yet have information about whether this intervention has resulted in changes to HCAHPS scores. They definitely get an “A” for innovation and effort, though. 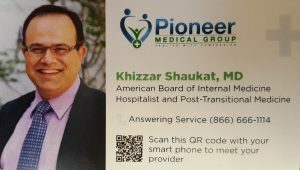 For more information feel free to contact Pioneer’s president Dr. Syed Ali ([email protected]roupflorida.com) or chief operating office Ana Gonzalez, MBA ([email protected]). Then during the RIV poster reception at HM18, I had opportunity to talk with Dr. David Beddow, Medical Director of Hospitalist Services for Allina Health System in Minneapolis. Dave and the hospitalist team at one Allina hospital decided to take my colleague John Nelson’s advice and implement post-discharge phone calls by the discharging physician. They set up a research experiment to compare HCAHPS scores and readmission rates for patients who received post-discharge phone calls vs. patients who didn’t receive a call. They found that post-discharge phone calls were statistically associated with improvement in the HCAHPS responses for global hospital rating (AOR: 1.52, P=0.04) and physician communication (AOR: 1.56, P=0.021). Overall, post-hospital phone calls were associated with about a 15% increase in the odds of receiving top box HCAHPS scores, with younger patients more likely to give top box scores than older patients. Patients who received calls were also less likely to be readmitted when compared to those with the same inpatient length of stay, but differences weren’t statistically significant. For more about the Allina post-discharge phone call intervention or findings, contact Dr. David Beddow ([email protected]). Clearly these aren’t the only or even necessarily the most meaningful interventions that hospitalist groups are implementing to improve patient communication and satisfaction. The pressure to improve “hospitalist” HCAHPS scores isn’t going to let up, however, so it’s incumbent on all of us to share success stories whenever we can. If you’ve implemented an initiative that has successfully improved patient satisfaction measures, please join the conversation by commenting below. I’d love to hear what you are doing, and so would your colleagues! This is very impressive Leslie. Thanks for posting this. Recently I read the novel #InShock by Rana Awardish. She was all about the human factor. We may need to invite her for talk in next annual meeting. Any thoughts on that. And Leaders in hospital medicine like Aziz Ansari from Loyola, Chicago is great advocate of these kind of conversation at the same addressing the anchor bias based on patient back ground. This something going to be very important in healthcare. Technology created a wall between providers and patients and it is time to break that wall. Thanks, Leslie! As usual, a great article with solid thoughts and ideas! Our group has tried post discharge calls. It would be interesting to learn more though about how Alina did this to make it manageable with the work. I also like the technology option on the business cards. Although a lot of our patients are older, there would be some who would use this feature and it seems relatively easy to do. Thanks for the comments, you guys. I’d love to hear more from others about additional things they are doing to enhance their connection with patients. Raman, I will forward your suggestion on to the Annual Conference Committee for consideration. I know Aziz and his colleagues did a workshop at the annual conference in April, but agree that additional content in this area would be valuable and well-received.